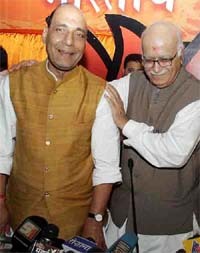 Mr Lal Krishna Advani today formally quit as the president of the Bhartiya Janata Party. At a press conference here marking the end of the party's silver jubilee celebrations, Mr Advani said he was handing over the reins of the party to Rajnath Singh. Mr Rajnath Singh, BJP President, is from the ranks of the RSS and a firm votary of Hindutva. A masters in mathematics, Mr Rajnath Singh (54), introduced Vedic mathematics in secondary schools when he was the Education Minister of Uttar Pradesh in 1991-92. Do you feel that terrorists are still being trained in Pakistan? In a major attack ahead of New Year celebration, gunmen killed Inspector-General of Police (Intelligence) Tungkut Thangthuam, his bodyguard Havildar, S. Khamkhanjam Paite and critically injured three policemen in an ambush at Oinam in Manipur’s Bishenpur district today. Former Chairman of the Himachal Pradesh Subordinate Service Selection Board Surender Mohan Katwal was today sentenced for three-year imprisonment and a fine of Rs 10,000 was imposed on him under the Prevention of Corruption Act for tampering with the results for the appointment of the Vidya Upasaks in 2001. The owner of a detective agency in South Delhi was arrested in connection with the alleged phone tapping of Samajwadi Party leader Amar Singh. Bhupendra, running the agency in South Extension-I, was nabbed last night. All passengers of the Mumbai- Ferozpur Janata Express were asked to get down from the train at Surat around 1.50 pm today following an anonymous call that a bomb has been planted in the train, according to Western Railway sources. While the IQ of some leaders was very high, their EQ (emotional quotient) was very low. In a daring attack, MCC and PWG guerrillas gunned down the CPI(M) zonal committee secretary, Mr Rabindranath Kar, and his wife early this morning at Bhomragar village of Banduan in Purulia district, 250 km from here. They also burnt their bodies inside the house, which was set on fire. 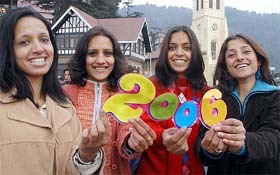 Notwithstanding the freezing cold, more than 1 lakh tourists have thronged the town to celebrate the New Year eve, with all hotels booked to capacity. 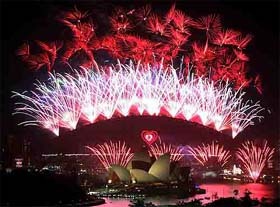 According to the police, more than 80,000 tourists have descended on the town to celebrate the New Year eve.